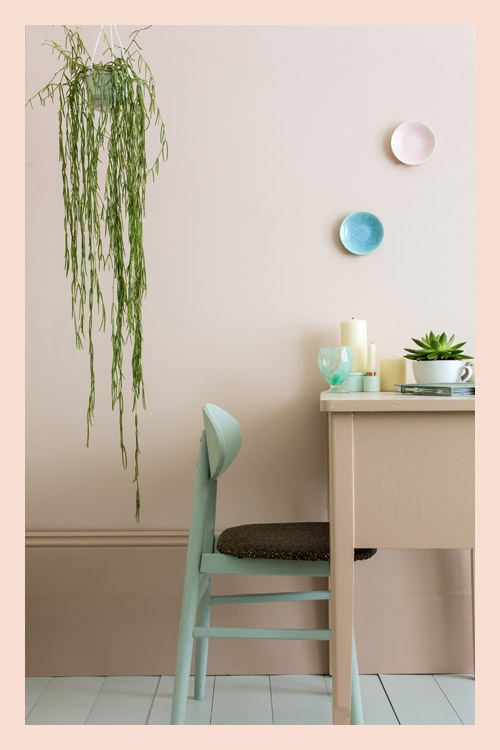 Here you have the wall painted in PINK GROUND, skirting & desk in SETTING PLASTER, floor in PALE POWDER and chair in TERESA’S GREEN. Here you have the wall painted in LIGHT BLUE, floor in LAMP ROOM GREY and skirting & desk in DIMPSE. Here you have the wall in BREAKFAST ROOM GREEN, skirting in CALKE GREEN and floor in LIGHT GREY. Here you have the wall & skirting in TANNER’S BROWN, bookcase in OVAL ROOM BLUE, chair in DEAD SALMON and floor in HARDWICK WHITE. 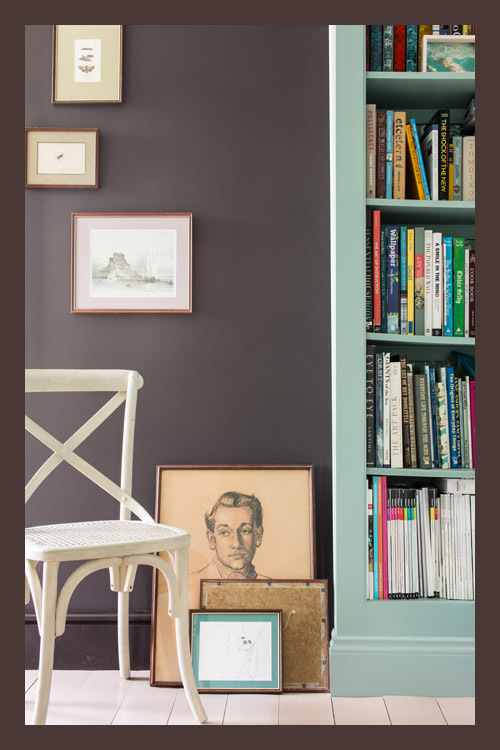 We are big fans of Farrow & Ball’s paint. The company was founded back in 1946 by paint pioneers John Farrow and Richard Ball in Dorset, England. They developed or rather used age-old methods to create paint colours with only the finest ingredients for the best possible result. Using high levels of pigments, rich resin binders and heat tolerant ingredients they were able to produce their signature immersive depth of colours. This traditional method is still used today to ensure that Farrow & Ball’s paint always meets the standard they require. Every batch of paint is tested before it reaches the tin. 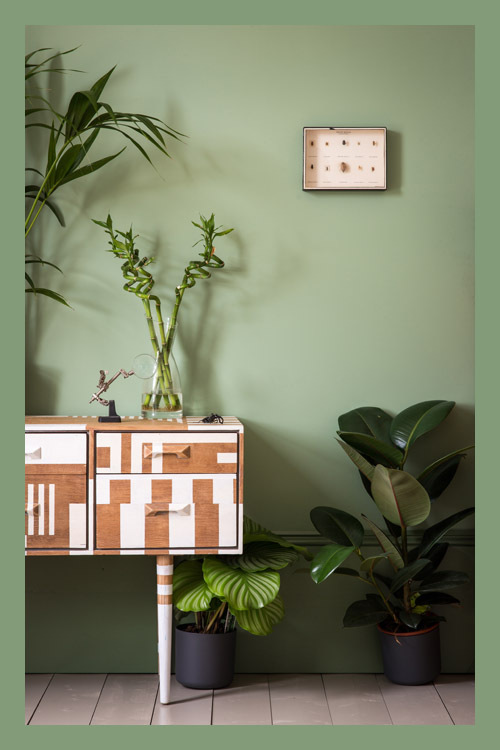 Farrow & Ball’s paint is waterbased, eco-friendly, child safe, uses recycled materials for their packages and is not tested on animals. You can find more information about their progress on their website. Those of you who are familiar with Farrow & Ball know they have quirky paint names. The names are always something from the past and generally inspired by Dorset’s nature and surroundings. Another fun fact is that all of Farrow & Ball’s products are still made at their factory in Dorset. 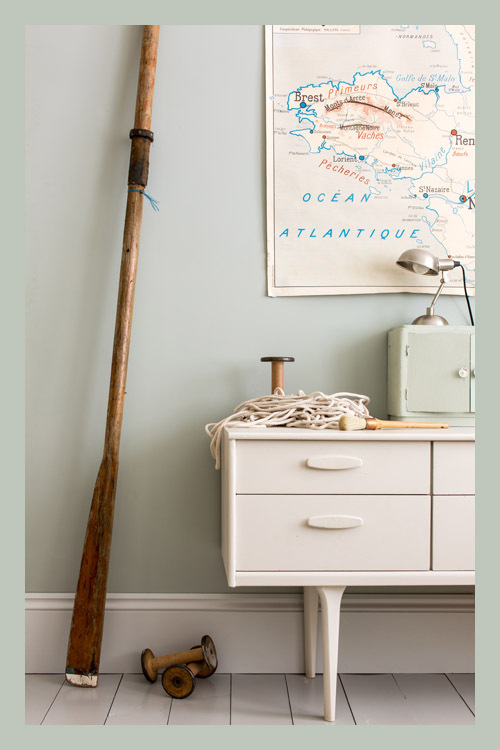 Farrow & Ball produce paint colours and beautiful wallpaper. Le bon weekend peeps!